Detta Fane is a British artist living and working in London. She has shown her work in Norway, Berlin, London and Gloucestershire and is a member of the Royal Society of Sculptors. She uses the changeable nature of materials such as steel mesh, Perspex, light-transmitting fluorescent Perspex rods, clay, and stone. Combined into highly controlled structures, the materials rust, glow, warp, stretch and puncture. These delicate and strong industrial materials come together in precise forms that allow light to pass through them – in unusual and sometimes startling ways. Moulded polystyrene (the sort used to pack fridges and electrical goods) is the starting point for her work. Fragile yet strong, it is easy to pierce. 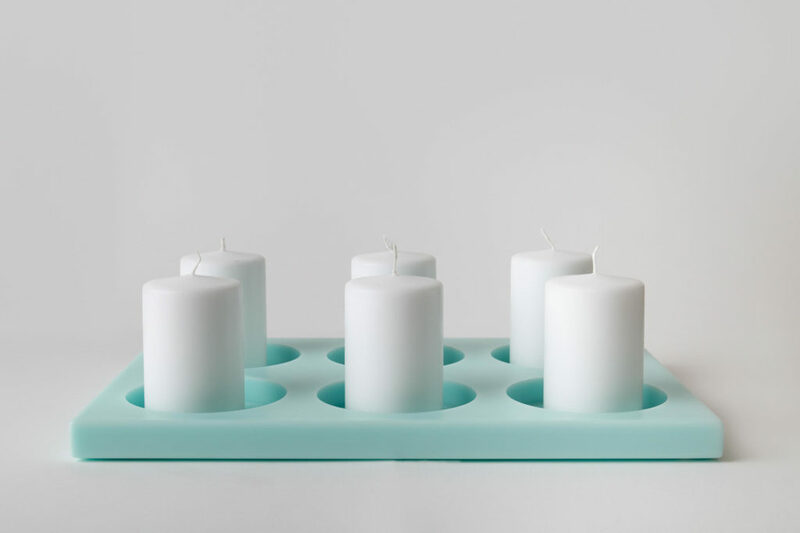 Developing her technical and design skills, while experimenting with new materials she has made a range of contemporary candle holders that will be exhibited with her sculptures.